The plane crashed at Aberkinsey Farm, Dyserth and the photo belongs to Owen Rowlands, deceased, who lived at the farm on the dual carriageway - Rowlands the milk. It’s thought that he is one of the boys in the photograph. In 1929 Rhyl held a Carnival which turned out to be one of the biggest events ever to be held in the town. Ten of thousands of people flocked into Rhyl by road and rail for the three day Carnival which began on Thursday, June 27th. The Rhyl Journal reported that he was expected to arrive at Aberkinsey Farm (between Rhyl and Dyserth) at 11a.m and a big crowd had gathered to welcome him. Unfortunately he experienced mechanical problems as he left Crewe which meant it was after 12 noon that he was first sighted over the farm. He made a “beautiful” landing amidst great cheering and was immediately “mobbed” by the crowd. Sir Alan then proceeded to take members and officials of Rhyl council for a flight over the town. Then a second party boarded the plane but as it took off the propeller caught a tree and sustained damage which caused abandonment of the flight. Fortunately no-one suffered any injuries. Above is G-AAEV. This might or might not be the aircraft involved in the incident above. 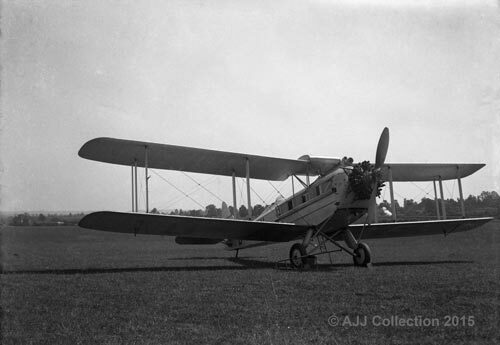 But according to Wikipedia and other sources this aircraft (named Youth of Britain) was used by Alan Cobham in an aviation promotional tour of the United Kingdom from May to October in 1929. Wikipedia says that during the tour Alan Cobham flew 60,000 miles, visited 110 towns and carried 40,000 passengers, including 10,000 children - free of charge. Another source says the tour was a campaign to convince local authorities of the need for municipal airports. The Giant Moth had a passenger cabin with 8 seats and the pilot was in an open cockpit behind the wings. It was 39 ft long with a wingspan of 52 feet. Other sources say this aircraft crashed and was written off at Broken Hill in what is now Zambia in 1930.